[Boulder Reservoir on the first day of summer. 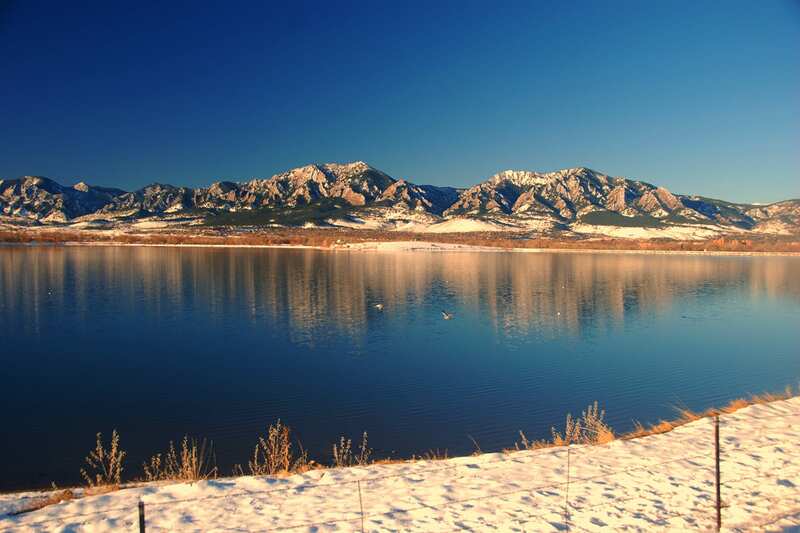 Photo: Richard Saxon] Completed in 1955, the 700 acre Boulder Reservoir is a year round playground for outdoor recreation in Northern Boulder. 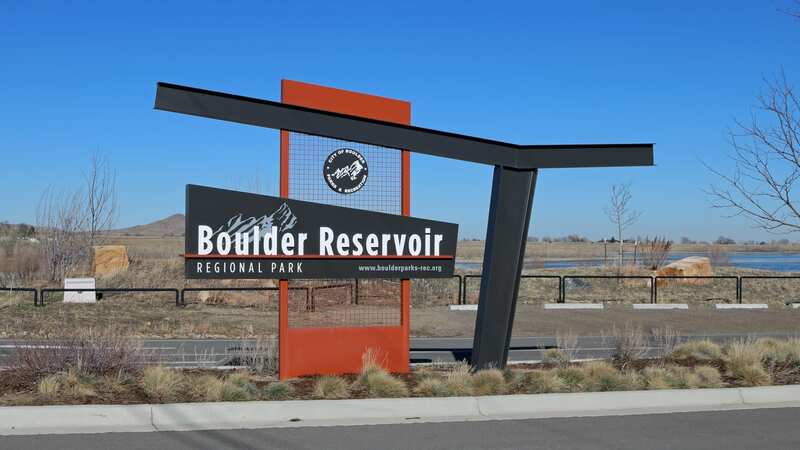 It also serves as a water storage facility for the Northern Colorado Water Conservancy District and City of Boulder. Managed by the City of Boulder, the park charges a daily entry fee per person from late May through Labor Day. Annual passes are also available. Pets are not welcome in the park fro mid May through Labor Day. Water recreation is the main draw. Fishing, boating and swimming. A number of camps are offered for kids, such as water sports, sailing and windsurfing. You can also rent one of nine picnic areas from late April through September. In addition to water sports, hiking and bicycling are common. Boulder Reservoir is open to a variety of motorized watercraft under 500 HP including sailboats and power boats. Non-motorized include stand up paddle boards, canoes, kayaks, etc. All types of watercraft require permits. They do not allow personal watercraft (PWC), such as a jet ski. Boat Rentals – Watercraft including kayaks, canoes and stand up paddle boards are available through Rocky Mountain Paddleboards, directly at the reservoir. In addition to rentals, they provide lessons and SUP yoga. 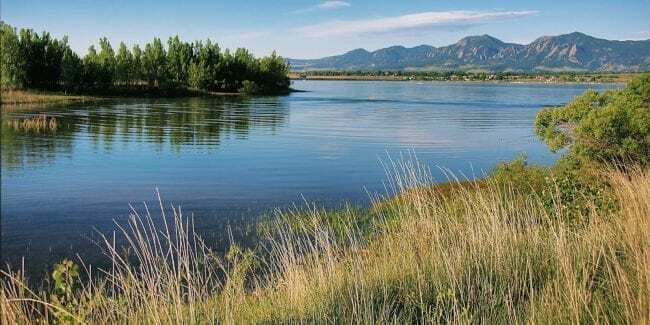 Boulder Reservoir allows fishing year found. Common fish species include rainbow trout, crappie, saugeye, smallmouth bass, catfish and walleye. In the winter ice fishing is available when the reservoir freezers over. The Swim Area is open seasonally, beginning in late May. Hours are from 10am to 6pm every day. There is a lifeguard watching over the marked swim area, which is roped off and open to small children. Those under 13 years of age must pass a swim test by the lifeguard in order to go past the first rope.